@Stella.r43 Well my friend you are also trapped in that idea. The fx brokers dealing in cyptrocurrencies and the other crypto exchanges are not required to do KYC as no fiat movement is involved. And my point here is even when these brokers have KYC in place it doesn’t make sense till it is enforced. And even more important thing to ask is who are they complaint with? Who are overseeing the KYC process as crypto market is not regulated by any authority. And doing KYC means killing the anonymity of cryptos and the idea behind it. So these new gen platforms are basically just keeping it intact and freeing the traders from handling over their ID proofs unnecessarily. But I am very sure if some standard process will be introduced to keep KYC in place; they won’t mind asking for your ID’s but why now? Do the KYC really help in keeping theft away? If that so what happened to Mt. Gox? @oliviapips I really appreciate your opinion. But in my view KYC is an ideal thing to do, to prevent being scammed and i can’t find a reason to ignore this? Infact it should be implemented, if it is the way to avoid scammers. And I think that soon the majority of blockchain businesses will use AML and KYC. @Stella.r43 Thanks for taking that interest in my views. And Could you Please explain me how KYC would prevent me from being scammed? If I do KYC to a scammer, I would still lose my money after investment and my ID’s as well. KYC to my believe only serves the purpose of preventing criminal investments to be made by letting the government keep a track of people’s financial dealings for scrutiny anytime. And yes you might be right about blockchain businesses implementing KYC and AML but I am sure they will do it once some regulatory body enforces it strongly so it actually makes some sense. Otherwise blockchain and Cryptocurrencies would like to serve their idea of anonymity to circumvent this freedom from unnecessary documentation. Will look into Coinexx over the weekend. Thank you for putting this together! Your work is much appreciated! @andersonsmith Let us know if you try new ones and what you think of them! @purtle thanks for appreciating. It’s a good choice. And yes working on with adding more brokers too. Do tell me if you have any suggestions. And share your exp. with Coinexx. How about adding FXopen in the list? They have crypto account too. they do. But they offer only 4 cryptos for deposit/ withdrawals. And charges withdrawal commissions. @Martinjack I will consider your suggestion and check the conditions for FXopen to see if they fit my list. @justshell yes they do call from a hidden number. I guess due to the nature of the business & to avoid witch hunting by regs they do that. They called me too and it was comforting to speak to them… the guy behind the phone know what he was talking. I like it that they reach out unlike evolve who choose to keep the communication one way. I like coinexx for being more accessible anytime. Keep us posted how trading is going with them. Tchao! I know this about evolve. They have some issue replying to the clients especially when they screw up with positions. I faced it myself just when I was almost getting comfortable with their spreads and platform. Their servers stopped and my positions were stuck. I mailed them about the loss but they din seem to care really! After that they even withheld my withdrawals. Why do brokers do tht? oh! Sorry for your loss, i understand that can be frustrating. and that’s a new info On evolve I’ve got. Yes their support can be quite sluggish but haven’t faced an issue yet. If we have more ppl coming in with similar issue, will update caution notes againts the trader. As once in a while it happens with all brokers So are you still with them ?? well I trade with finpro trading and darwinex as well. Want to diversify with brokers after this incident I cant trust fx brokers and keep all my money with only one of them. btw darwinex is a good broker but ESMA will change things here. I love finprtrading as well cant seem to digest an offshore broker can be so professional. But after evolve, looking for crypto broker. yes I can understand your concern quite well. If evolve is an issue maybe you can try coinexx, another broker listed on the list. 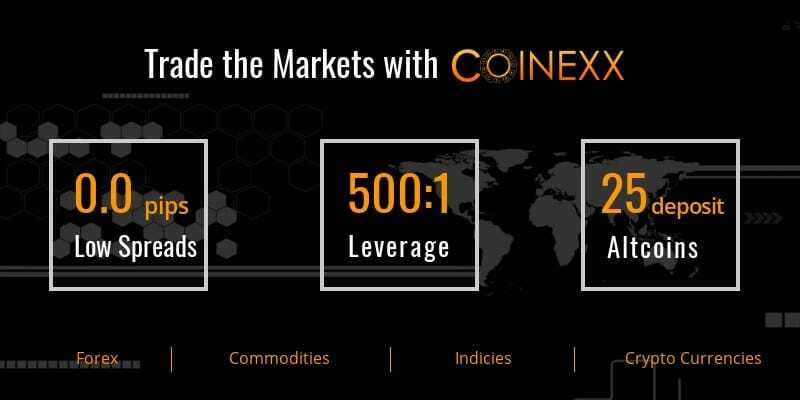 Both the brokers are pretty similar with coinexx being more responsive and hv more option for payments. Where did you get those unknown brokers. Where are trusted names like IC markets, tickmill, hotforex? the list only enlists offshore brokers that accept US & Canadian clients & are crypto centric. And as for hotforex, tickmill and IC markets none of them accept US & Canadian clients. And the brokers listed in the list are discussed well enough on this forum and arnt unknown barring the purely crypto guys. and that’s a new info On evolve I’ve got. Yes their support can be quite sluggish but haven’t faced an issue yet. If we have more ppl coming in with similar issue, will update caution notes againts the trader. I have faced multiple issues with evolve, they have a beautiful website and client portal and are very good if everything goes well, but when things go wrong (like too much slippage on a trade, or any other trade specific issue, it takes ages to get a reply from them. I droped the ball on them and moved on. Happy to have moved on. There are other brokers that I find are much more responsive and I rather put my money where I get a responsible relationship manager. From my experience, I can tell you that having a relationship manager (or atleast a human) to talk to directly, is utmost important. Because most of the times things go fine but when they do go Wrong (because at some point it will), you need a human to listen to you and try to resolve it without quoting “policies and procedures” as a lame defence tactic. that’s a valid point you raised @whywescalp. Nothing can be more substantial than human relations. That’s what the name relationship manager justifies. Minor issues are inevitable in trading but what counts is how the broker and its team get it resolved for you at best. Evolve might have everything in place but if the support system is laid-back and unresponsive, then the retention ratio will sag. by the way which brokers in your experience have good support team? @andersonsmith an article on one of your broker of choice - coinexx . And everyone has been suggesting, you should start rating brokers and flagging the brokers in your list.